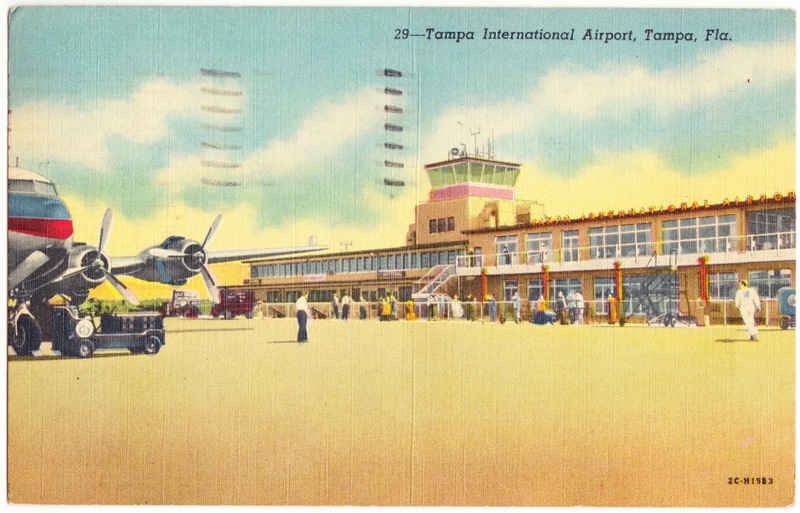 This linen postcard was mailed with a two-cent Jefferson stamp to Manchester, Pennsylvania, in May 1956 and showcases Tampa International Airport. This is where we landed and boy was it nice. You didn't even know you were in the air. We are having a nice time. We haven't slept since Sunday, but this is only Monday night about 10:00 P.M. We are pretty tired because we were on the go all day today.